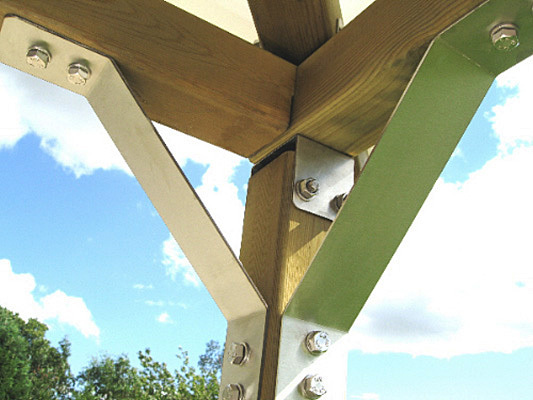 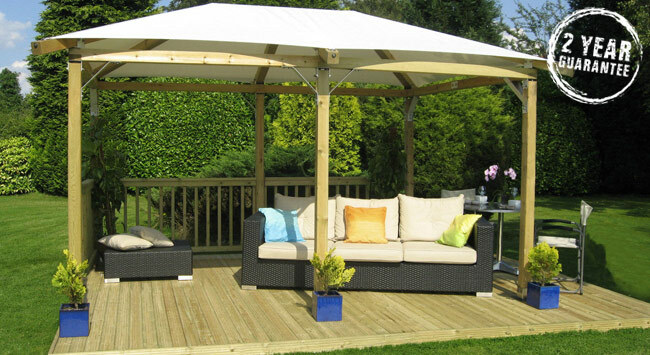 The waterproof membrane covering and a robust wooden framework jointed with exposed stainless steel fastenings and bolts come in a range of sizes to suit all garden types. 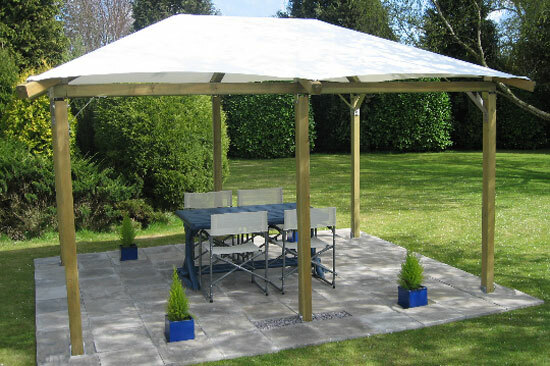 This range of gazebos are contemporary styled garden structures. 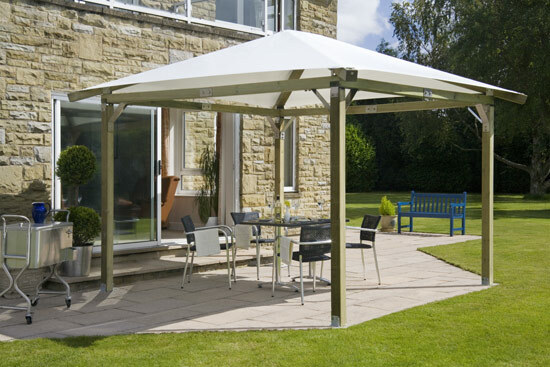 Their modern appearance comes from a stylish tensioned PVC translucent canopy, which is designed for a tough environment, -30 degrees celsius to +70 degrees celsius. 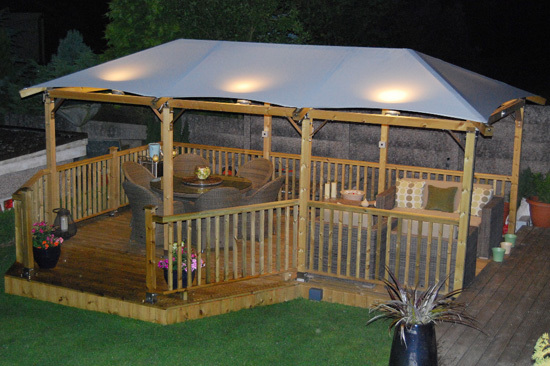 It is fitted under tension to give added strength and is 100% waterproof. 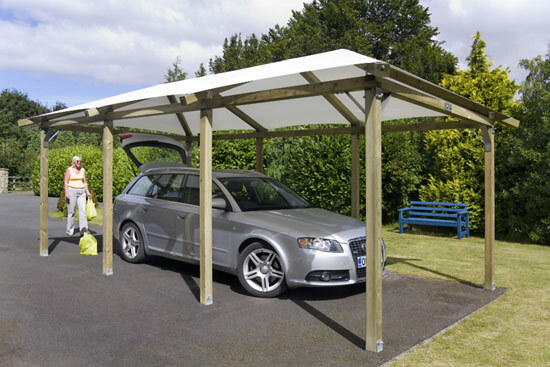 It allows a soft natural light and gives protection from harmful ultra violet light. 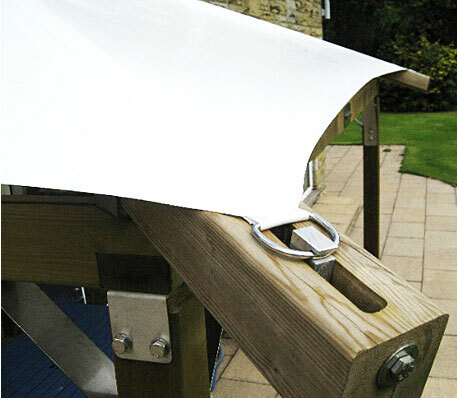 The smooth finish is easy to clean, can be simply removed and has a life expectancy of over 10 years. 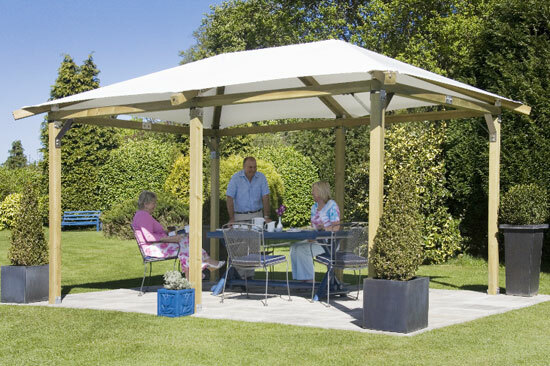 The Pavilion garden gazebo is certified to withstand wind speeds of 27 metres per second – up to Gale Force 9. 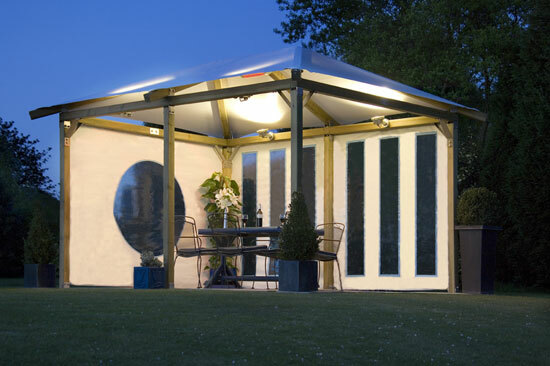 Semi Permanent Structure: Unlike tent gazebos the Pavilion Gazebo range are permanently fixed to the ground, (ground fixing bolts included). 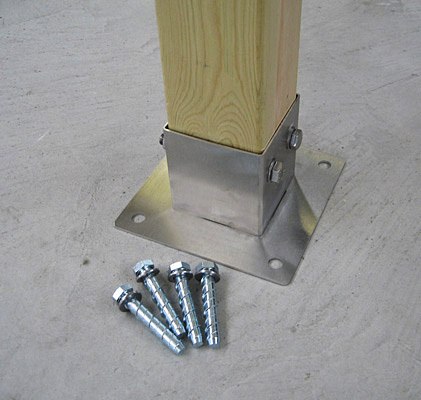 They can be installed on patio paving or on wood decking – can be dismantled and re-sited.